If you're planning on doing any of the Paradise events you will first need to learn how to swim. This will allow you to travel through the waters in the paradise areas. You will be given a skill called "swimming" and you can easily check if you have learned it by pressing "H". You are now able to reach the islands in the Paradise event. 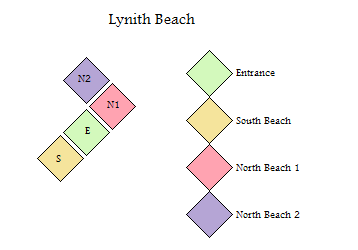 You can find the Paradise event at (21,4) on North Lynith Beach 2.